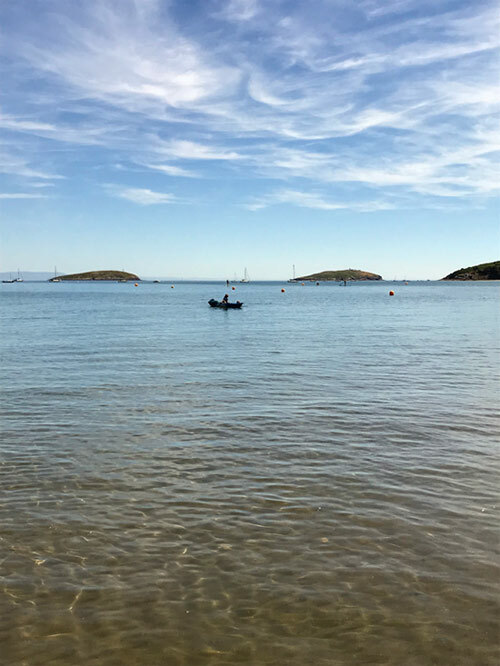 We discussed yesterday the possibility of an easterly causing some issues for the hundreds of triathletes who were competing in Abersoch this morning and this turned out to be the case. 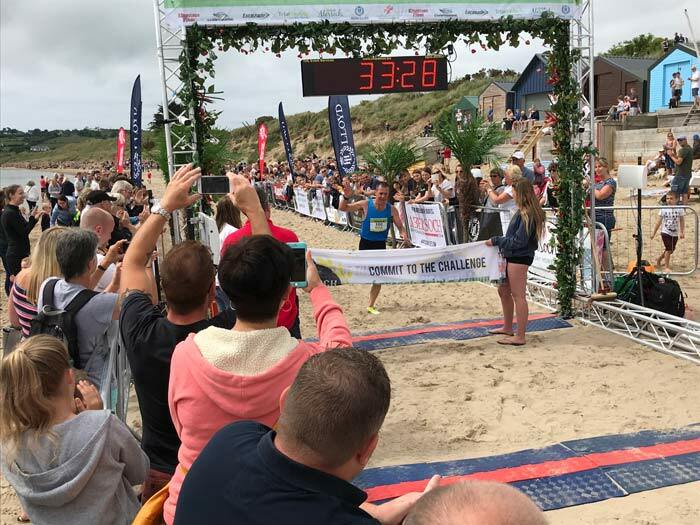 First off, at 8am, into the worst of the chop, were the Roc endurance triathletes who were swimming for 1.2km, cycling to near Snowdon, heading up the Watkin path to the summit on foot, descending, cycling back to Abersoch with a 1K run to finish off. 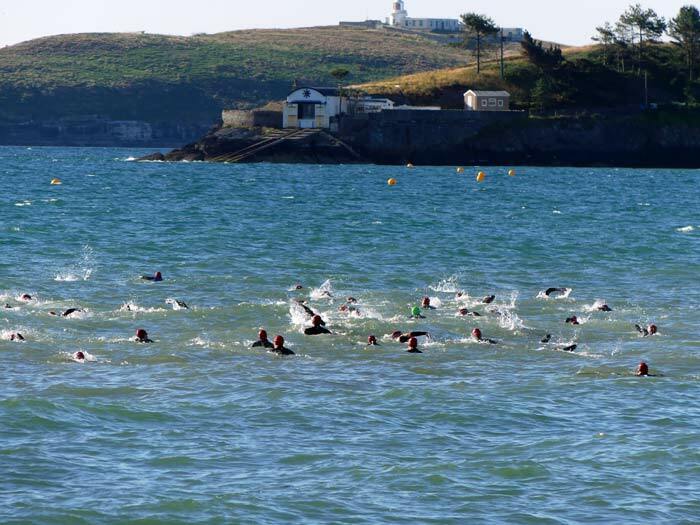 The swim proved longer and harder than usual, due to the chop and the amount of water movemnent, so some swimmers appeared to struggle. 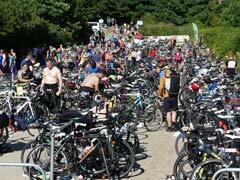 The conditions eased a touch for the Olympic and Sprint triathlons, but were still tough. 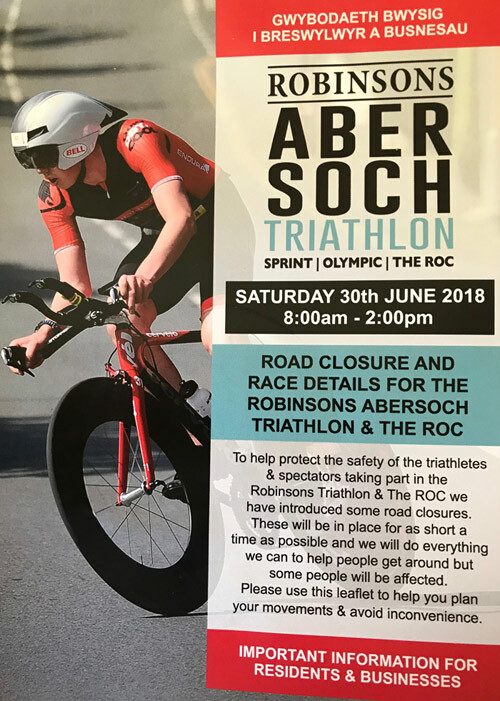 A house fire in Llanbedrog (every one safe apparently) then caused havoc on the cycling route due to a road closue, so this caused some extra km's for some triathletes. So an eventful event, under clear blue skies and increasaingly hot conditions, as that wind dropped out, and the Roc event was completed in an incredible 5'12" by Andy Howarth. 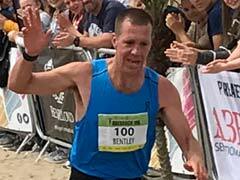 Well done to all who attempted / completed the events today and to the runners in the 1k kids event. 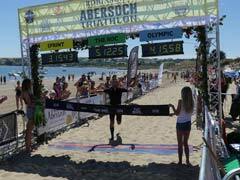 Results and further reports will be online at www.abersochtriplecrown.com/abersoch-triathlon. 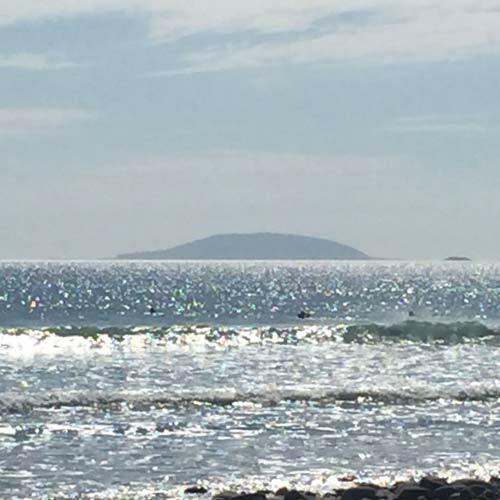 That easterly has all but disappeared this afternoon on the main beach - so it is another scorcher down there, though we may see the breeze return again overnight. 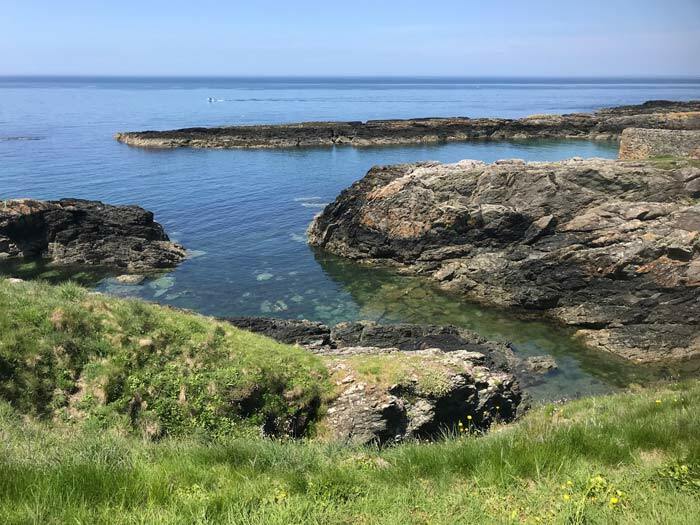 As it stands, the latest charts suggest this fine spell could last right through the coming week, with temperatures becoming a bit more sensible, but remaining warmer than normal. 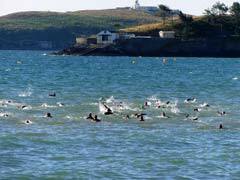 Choppy seas for the swimmers. The destination for the Roc event. Winner of the Roc endurance event. Slight variations on the same theme today, with a hint of breeze now and again, but basically it is still hot and sunny. Temperatures look similar to the last couple of days, however, across the peninsula there are variations in wind strength with a noticeable northerly sea breeze for the western tip of the Pen Llyn, pinning temperatures down into the low 20's C on the higher ground above Aberdaron this afternoon - whereas light breezes have been coming and going in the Abersoch area, with stifling temperatures when they drop out. 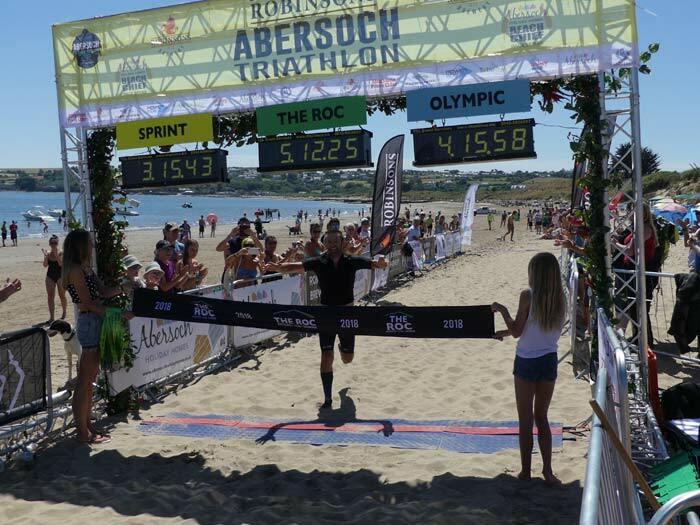 We could see an easterly gain in strength a little bit overnight, bringing that chance of a choppy start to the day on Abersoch main beach, which would be interesting for the swim legs of the triathlon events, though any early wind might quickly subside and the sea then flatten off. As for the skies - they look like being clear again, with another hot day on the cards, continuing this amazing spell of weather. 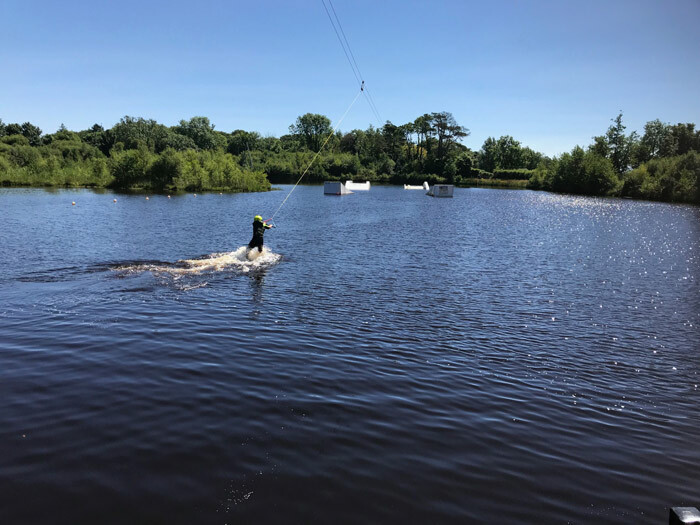 Rather than cook down on the main beach this morning, a visit to Glasfryn Activity Centre found the wake park to be tranquil and perfect, under the clear blue skies and hot sunshine. 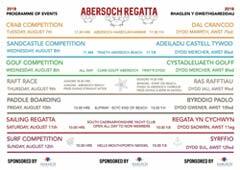 It's a great place to learn or progress at the sport, as is the sea based school run by OffAxis in Abersoch and Pwllheli. Great set up at Glasfryn. There is not too much to add this evening. 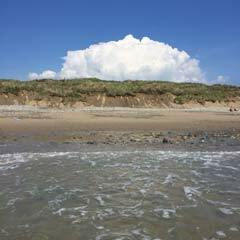 It has been hot again, with a hint of sea breeze from time to time, but generally boiling! Sea conditions varied between glassy and a few ripples due to a hint of breeze, with aquarium like visibility at times. We reckon it wasn't quite as stiflingly hot as yesterday, but it wasn't too far off! 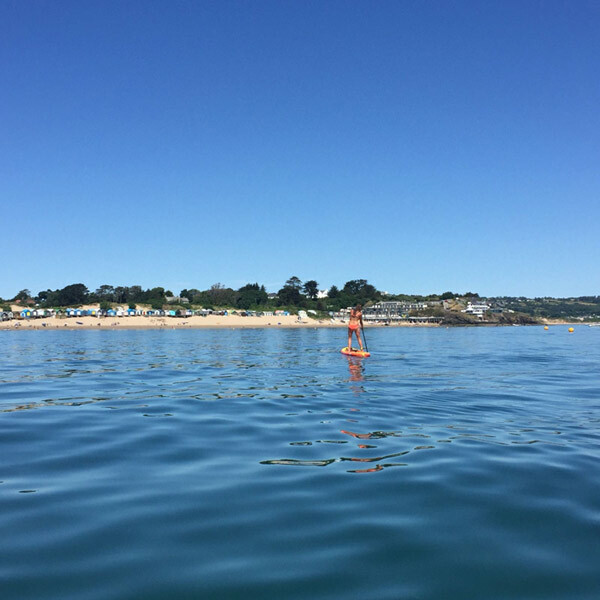 As reported on the weather page this morning, we reckon that yesterday was potentially the hottest day in living memory - with unofficial readings of around 31C. To get these sorts of temperatures in Abersoch, it needs to be completely wind-less and this was the case. It really was a stunning day, with the wind-less conditions continuing through the evening, with some spectacular scenes across the bay towards dusk, as the moon moved across the islands. 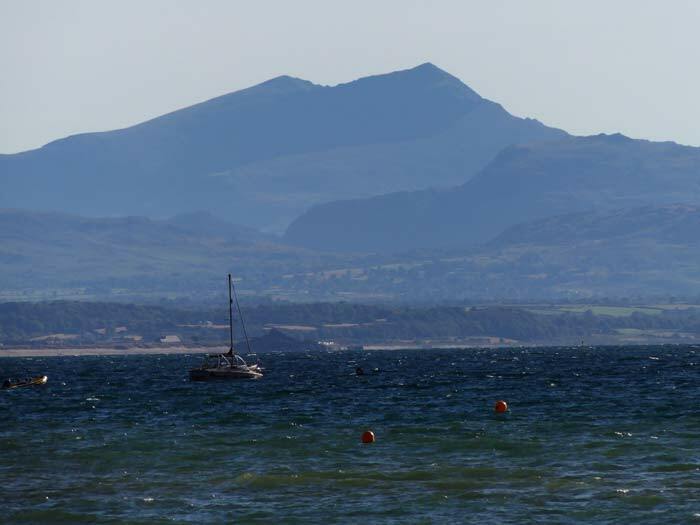 Many of us were brought up with the knowledge that when it is clear looking across the bay towards Snowdonia, that a change of weather is imminent and this is often the case, simply because the normal weather pattern is an incredibly changeable, Atlantic sourced one, with fine days often followed quickly by unsettled ones. However, in the case of the current weather, the normal rules do not apply as high pressure dominates proceedings, preventing that changeable pattern. Looking back, there was some incredibly hot weather back in the summer of 1995, with other notable periods in 1976 and 1984. 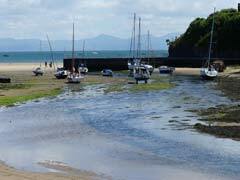 The 2006 heatwave was less noticeable here in Abersoch in terms of temperatures and others since have been hot, but not this hot! 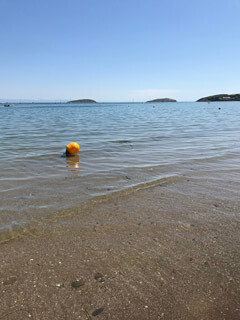 Yesterday afternoon saw some refreshingly, less stifling conditions for a time, due to the arrival of some patchy high cloud and a bit of breeze, however, today the sunshine is likely to remain unbroken and we may see incredible temperatures of around 30C / 31C here in Abersoch this afternoon, depending on the behaviour of the local breezes. 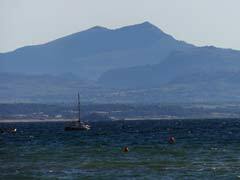 This is exceptional heat in this part of the world, due to Abersoch's peninsula location and is potentially a record breaker. 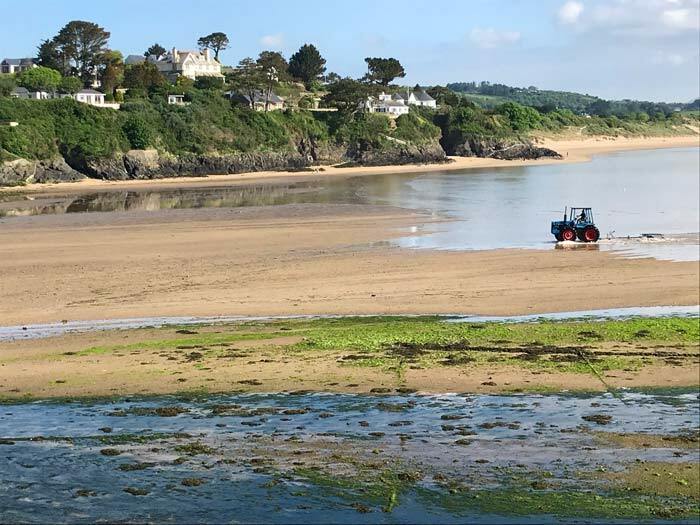 One thing to note for visitors is that according to the leaflet which has gone to each Abersoch household and business, that the beach access for vehicles on the Lon Golff slipway will be closed all day until 2.30pm. Pedestrian access is unaffected. 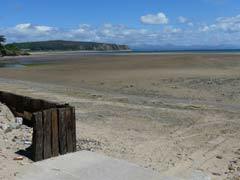 The volunteers at Abersoch Lifeboat Station have had a busy few days with 3 shouts over the weekend. 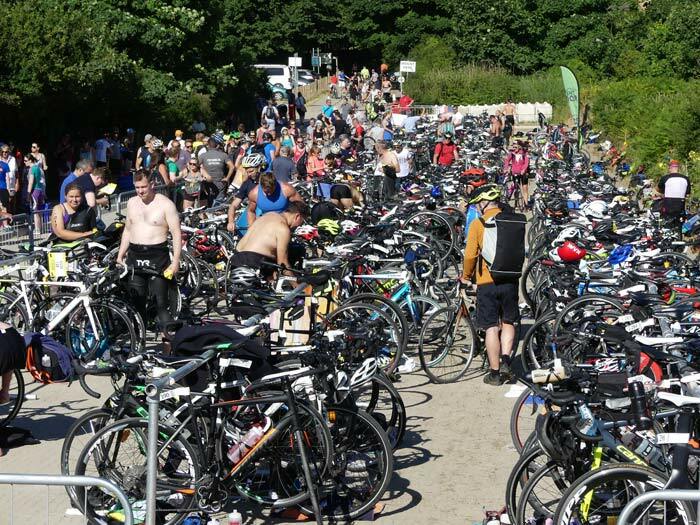 It's Triathlon day on Saturday. 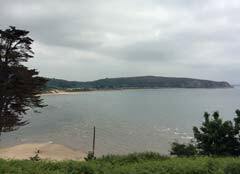 Once again the morning here in Abersoch was a hot one, with the heat really noticeable due to the lack of any breeze. This afternoon, we have seen a little bit of high cloud move in to make the sunshine a little hazier at times, along with some variable in direction sea breezes, to just make it feel a little more comfortable on the beaches. Tomorrow could see the hottest weather yet. 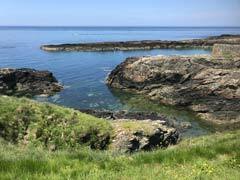 This morning, the sea was so clear, with large schools of bass to be seen a short distance off the main beach so that at times it felt more like being in an aquarium! Just had this in from someone who advertised their static caravan for sale with us a couple of weeks ago ..." thanks so much the website really is the best! I could of sold it ten times over this weekend." Main beach again - early afternoon. 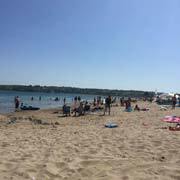 After a weekend, that saw increasingly warm temperatures and plenty of sunshine, today has followed suit with some fantastic beach weather. This morning was almost windless, hot and sunny. 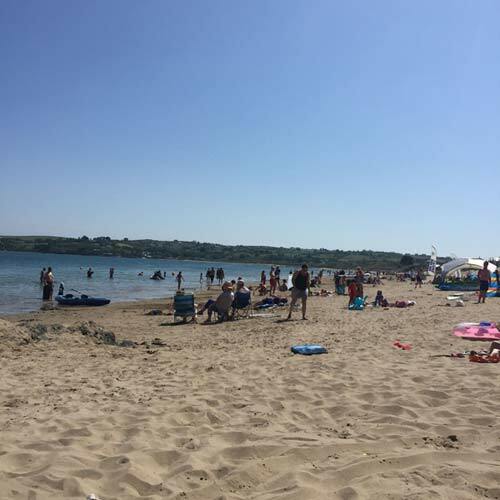 This afternoon, we have seen a bit of fair weather high cloud and a sea breeze from a northerly quarter, which made conditions by the waters edge a pleasantly refreshing change from the stifling heat of the soft sand. Wonderful weather! Next Update: Tuesday 26th June. 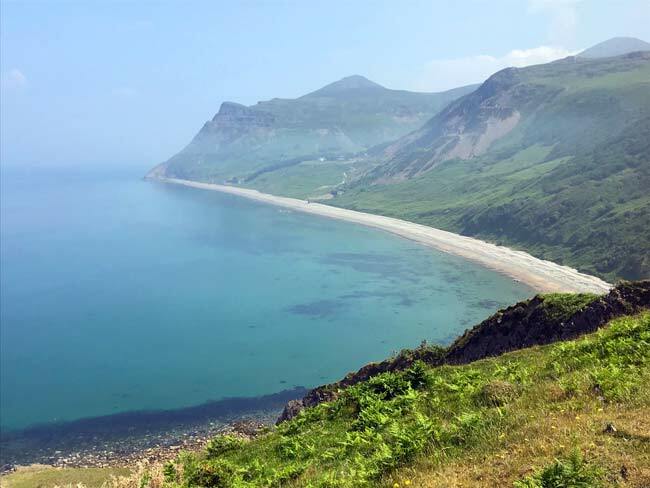 Due to participation in tomorrow's 75 mile footrace around the coastline of Pen Llyn - the next update on this page and the weather page could be on either Sunday or Monday, depending on the time it takes to (hopefully) complete the course and the physical and mental state thereafter. Next Update: Sunday or Monday - depending on the above. Stunning route of the Pen Llyn Ultra 75. The pattern change in the weather is underway with high pressure edging in from the west, however, during the transition to a really anticyclonic dominated period, with the chance of some genuinely hot weather arriving next week, we have a day or two of northely winds to contend with. 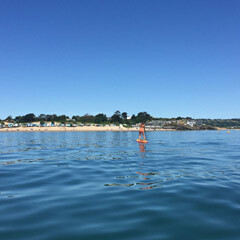 Sheltered spots, such as in the corner of the main beach at the SCYC, Williams end is one of those favoured spots that will be toasty in the sun today. Looking at some of the charts for next week, shelter may be needed from the sunshine, as the set up is one that could bring temperatures into the high 20's C, if the local breezes behave themselves! Exciting times for those who like beach weather. View from the Lifeboat station at 12.30. The charts are churning out some genuinely hot scenarios for next week, so for a change, some of those main stream media stories regarding an upcoming heatwave are potentially correct. In the meantime, we still have Atlantic weather this morning, after a similar story yesterday, so the change back to high pressure dominated weather over the coming days is eagerly anticipated. The Pen Llyn Ultra Marathons take place this weekend, with 145 competitors taking part in the 3 distances with new 50 mile and 100 mile formats for this year, in addition to the classic 75 mile race, that is now in its 3rd year. More on this over the next couple of days. This continued last night and looks to be complete. The Sun Inn in Llanengan have the following events coming up... tonight a charity quiz from 8.30pm, then tomorrow from 7.30pm there is Irish folk music. On Wednesday 27th there is a bingo night from 8pm. Tom Macaulay will be back in the Sun with his guitar on Friday 6th July from 9pm. Thee is not too much to report on today apart from the weather has continued to be a bit dreary, after some brighter periods this morning. We are looking forward to a potential weather pattern change later in the week. We have had little to complain about in terms of weather over the last few weeks, but today is a bit of a dreary, Atlantic dominated day with cloud, wind and drizzle. These changeable conditions look like lasting until midweek, before high pressure potentially returns later in the week. The vehicle registration parking cameras have disappeared from the Pant car park at Porth Ceiriad. We have no information on whether this is a temporary or permanent move. These camera systems often allow the landowner to keep the parking revenue, with the parking camera company making its money from issuing fines for minor parking infringements and by then relentlessly pursuing individuals (with the help of the DVLA). 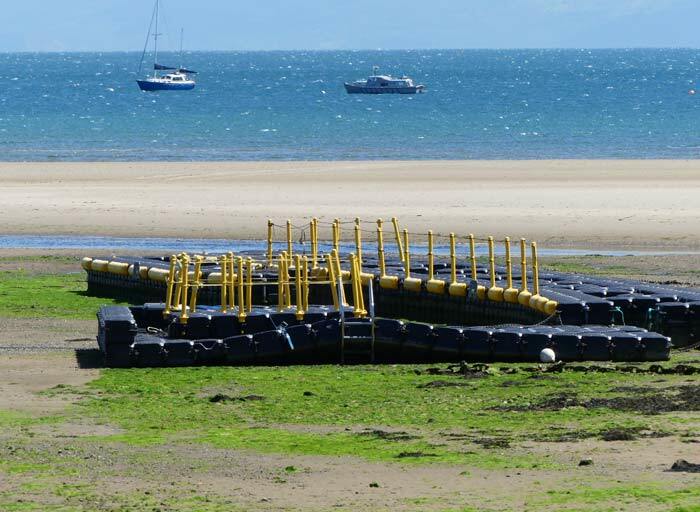 The media is full of stories of the stress and misery that these sorts of systems cause the public and in our opinion (and many others), it is a continued source of sadness for the village of Abersoch that one of these parking companies is allowed to operate on the Lon Golff car park. Remember - DO NOT throw your parking ticket away if you have visited this car park - keep it for a couple of months. Sheltered water at Penrhyn Du. Some swell in the Sound today. 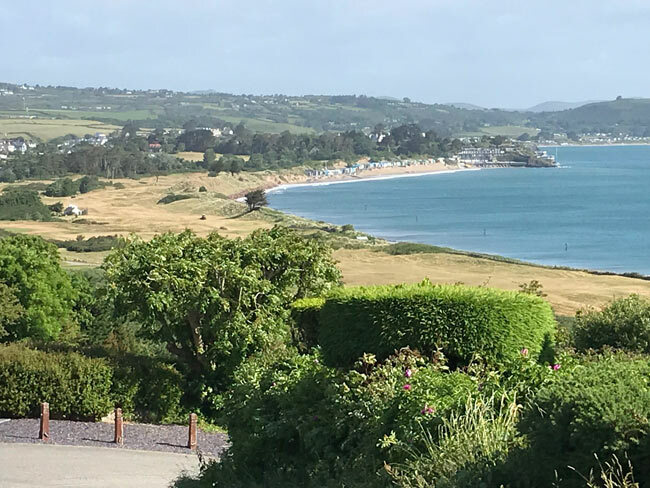 The cloud and showers of the morning and early afternoon have cleared away and we have some afternoon sunshine here in Abersoch, along with a brisk wind. 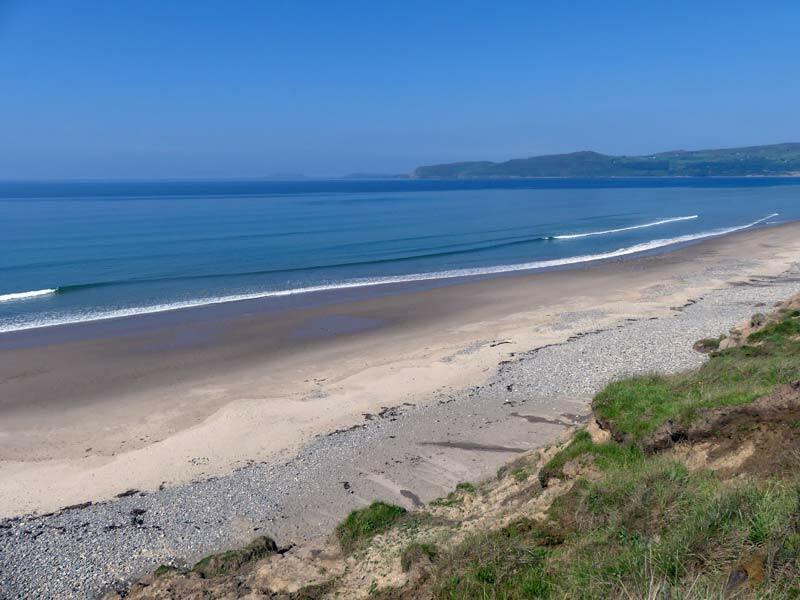 This afternoon is a classic example of how we can see really pleasant periods despite the return of Atlantic dominated weather and the scene this afternoon has been captured by the lens of John Wormald of www.totallyabersoch.co.uk. Next Update: Sunday 17th June. 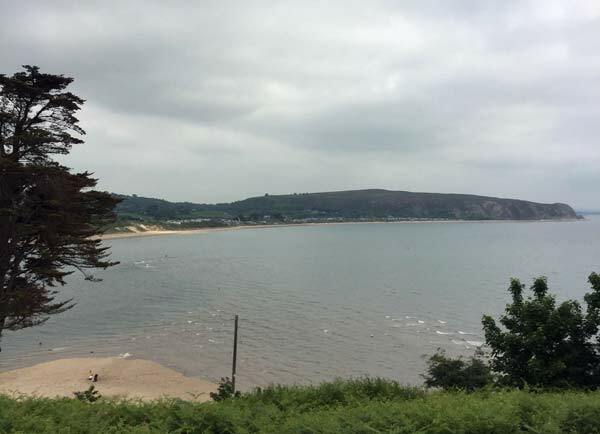 It is all a bit cloudy, windy and damp here in Abersoch this morning, with the changeable conditions expected to continue through the weekend. The good news is that there are growing signs of another warm spell arriving during next week, which was discussed over on the weather page this morning. 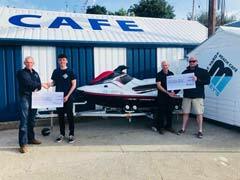 Cheques have been presented to the Abersoch and Pwllheli RNLI stations, totalling £10,000 after the recent fundraising event at Mickey's Boatyard Cafe. 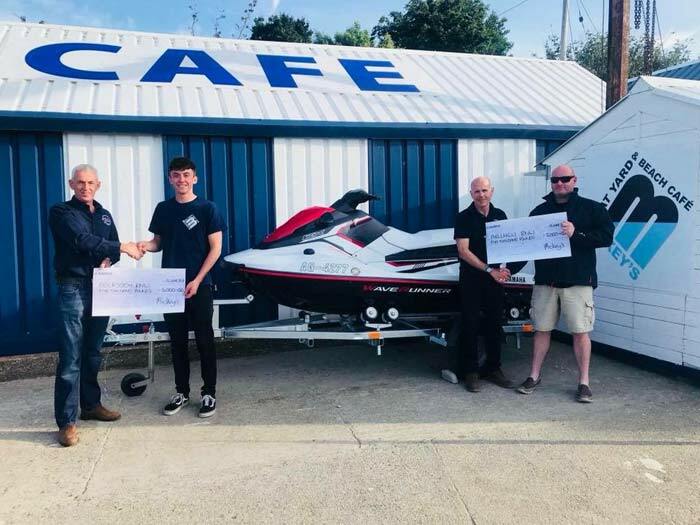 All entry money for the event went to these stations as well as the money raised from the auction of a jet ski that was generously donated by Ideal Boats of Pwllheli. Well done all! 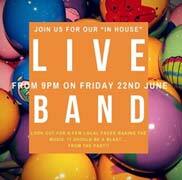 Live music from Manana's in house band this Friday evening. The restaurant and bar will be operating as normal and all are welcome to go and join in the fun. 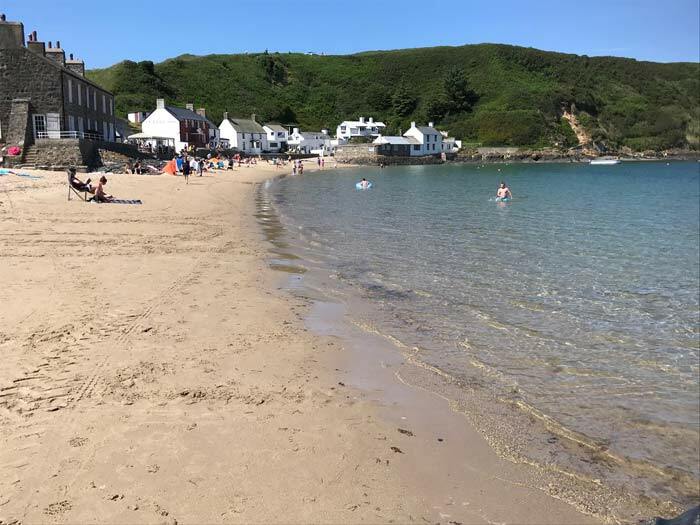 Abersoch saw plenty of sunshine yesterday, though the breeze continued to blow from the southwest, however, overall it was another fine day. Today has started cloudy but dry, with some sunnier intervals expected, so since the switch in weather patterns this week, we have not done too badly during the daytime periods, with the worst of the weather overnight. The weekend does look very changeable, according to our latest update over on the weather page. 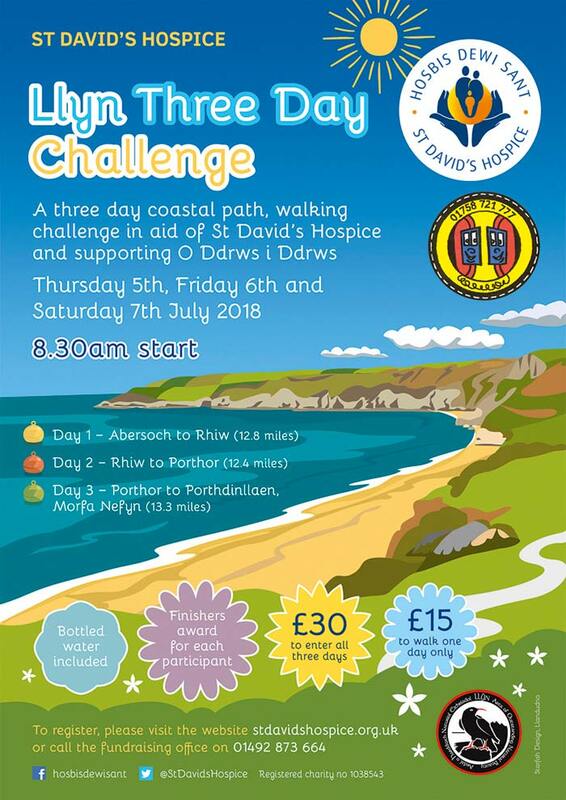 The Hospice is holding a brand new three day sponsored walking challenge on Thursday 5th, Friday 6th and Saturday 7th July 2018. Next Update: Later today or tomorrow. 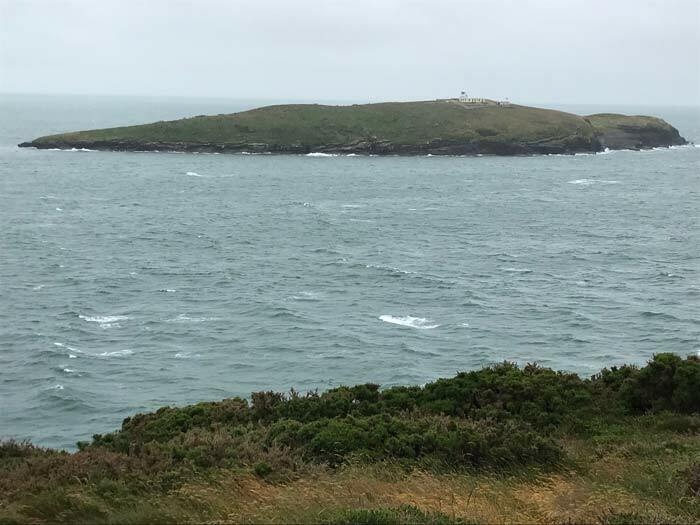 The overnight gales and rain eased this morning and there was a strong offshore wind in the bay when we took the photos below between 9 and 10am. Cloud has been coming and going since, but it is still not feeling too bad, despite the strength of the breeze and the arrival of a genrally much more changeable weather pattern. The evidence of the spell of continental and warm weather, with not a great deal of rain, can be seen down on the golf course where the links fairways have that parched look about them, a classic indicator that there has been an Abersoch warm and dry period. 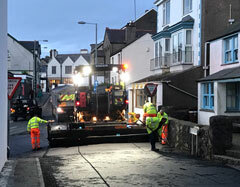 Roadworks in the village have been causing some diversions and disruptions this week, with some work carried out overnight. The work is related to the resurfacing of the roads through the village. Phase one started on the 11th June and was expected to take 4 days, with phase two due to commence on the 18th June, which will potentially last 3 days and will see the final layer being applied to the road surfaces. This week we have been adding some dates for properties that have peak week vacancies in July and August and these can be found in the late availability section - by clicking here. Strong offshore wind this morning. 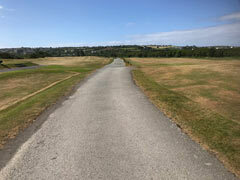 Parched links on the golf course. 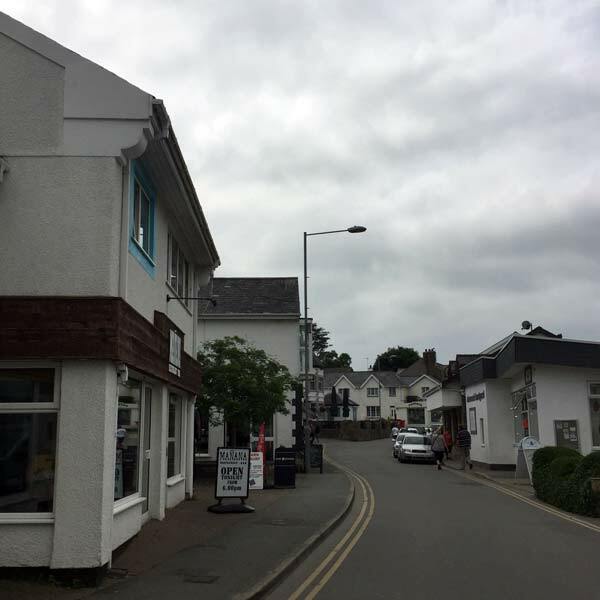 The morning started fine here in Abersoch, however, there are signs of a change as the wind has backed towards the southwest and cloud is increasing and we are expecting gales and rain tonight! 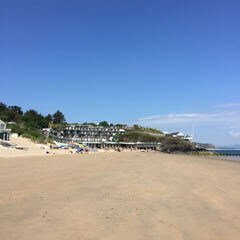 It is another lovely day here in Abersoch with plenty of blue sky and strong June sunshine. There is a northerly breeze again, though it is less strong that yesterday and it is certainly not stopping it from feeling rather warm. 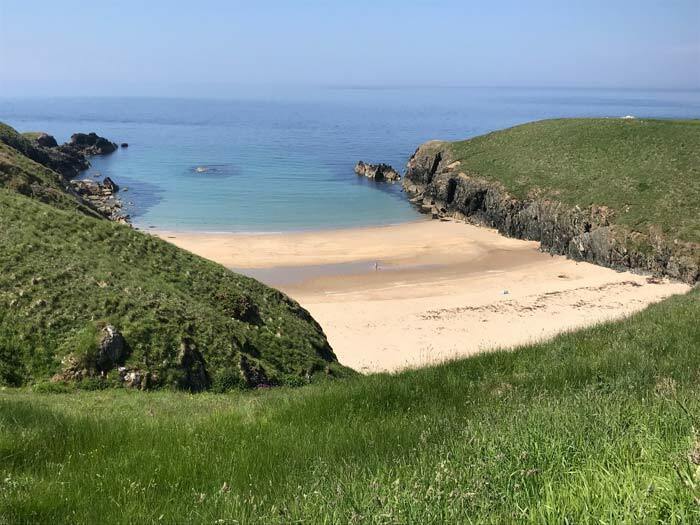 The view from the main beach this afternoon can be seen in the photo - a quiet beach this week, for those lucky enough to enjoy it. The special spell of weather continues. The main beach this afternoon. A wind from a northerly wind has arrived overnight here in Abersoch and it has been gusting to strong during the day, so despite the mostly blue skies, it is being a bit of a nuisance, however, it still feels pleasantly warm, just not the scorching temperatures of recent days. Strong winds will feature in the weather outlook from time to time in the next week. 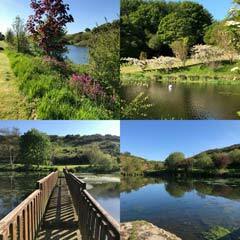 "It gives us great pleasure to introduce ourselves to you all as new caterers at The Cove. We have arrived on site this morning and would like to give you all a little insight into our plans for our opening week. We will be spending the next couple of days making some changes to the restaurant layout and getting familiar with our new set of hobs. We are open from 12 o clock this Friday when we will be launching the new Cove lunch menu and Friday evening will see the launch of a new evening menu. 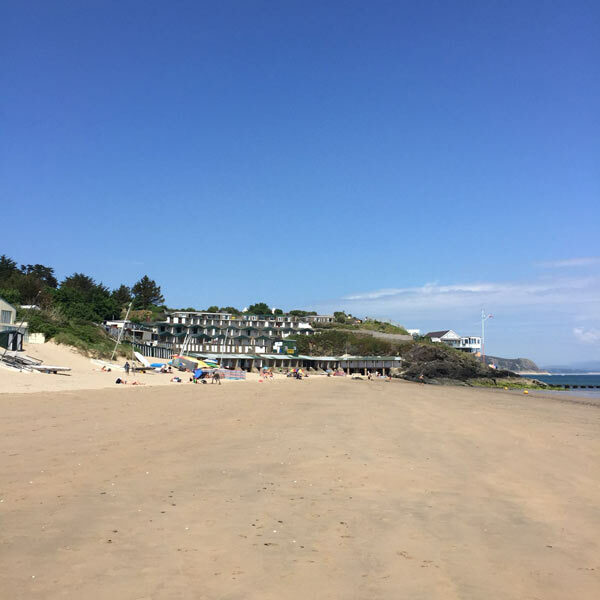 Both menus will be available through www.thecoveabersoch.co.uk from mid week and for all bookings or other enquiries please reach us on 07935 016391 or via email on info@thecoveabersoch.co.uk. Saturday and Sunday will see us starting for breakfast from 8.00, however on Saturday we will be winding down lunch by 2 to fire up the BBQ on the top deck for 2.30. Hopefully the sun will keep its hat on as we enjoy some live entertainment from the talented Tom & Annabelle starting at 4 through to 6, where we will wind down the BBQ and go into an evening service. This will be a great chance to meet you all and for you to have a look at the changes inside the cove. Our plans for the summer are to open 7 days a week from 8.00 for breakfast. We will be making the most of any sunny days on the top deck with BBQs and finally getting our hands on the infamous mighty paella dish. On days like these we will be making announcements by email and over social media so please follow us on Facebook and Instagram to make sure you are updated. We are extremely excited for what the summer has in store and to be getting to know all of you at SCYC, and we hope to see you all on the weekend. The question was raised today as to whether it was actually too warm! 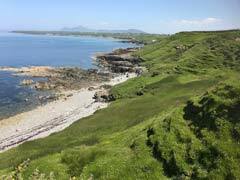 Incredible as it might sound, but it has been really quite hot today with once again the lack of any noticeable breeze combining with strong sunshine, which results in local temperatures soaring. We have seen a few of these sweltering days in the last month, and in terms of the general level of warmth, this has really been a special period. With every winner though there are always losers, so spare a thought for those on parts of the east coast of Britain, who have seen the opposite over the last few weeks, with plenty of chilly and overcast weather! The weather is set to change during the second half of this week, as discussed over on the weather page. The photo below is from a trip made today from the Ty Coch to the car park between Nant Gwytheyrn and Llithfaen. The Sea at Porth y Nant, below the old quarries, looked more like the Med today! 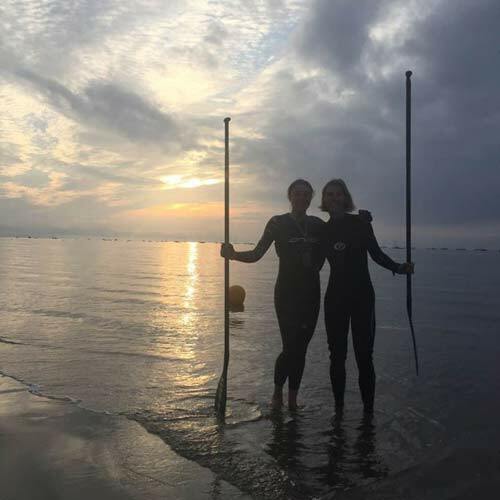 Well done to Rosie & Bex for completing their long and arduous challenge yesterday - a wonderful achievement and it is not too late to support their charity efforts - https://www.justgiving.com/fundraising/rosie-decker. View towards Porth y Nant beach today. Only a very brief update... the weather has been pretty wonderful again this afternoon, as the sun came out and it turned really warm, with that sultry, continental feel once again, with breezes staying light and variable. The sky has almost completely clearerd as this is being typed, for a really lovely end to the day. 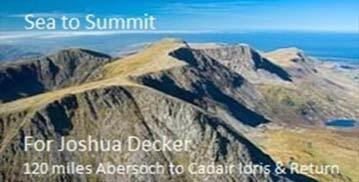 For those interested in the Sea to Summitters - they reached the top of Cadair Idris and are now on the long, homeward bike stretch and expect to arrive in Zinc later this evening (between 9pm and 10pm. Next Update - Sunday 10th June. It was a lovey, quiet start to the day down on the main beach and conditions on the bay were perfect at 6am for Rosie and Bex's paddleboarding section of their Sea To Summit Challenge, which we described in yesterday's update. 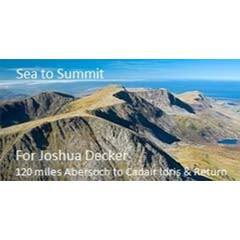 You can support this challenge here - https://www.justgiving.com/fundraising/rosie-decker. Next Update - later today. Rosie & Bex about to set off. It has been a mostly cloudy day here in Abersoch with some spells of hazy sunshine, which have made it feel quite warm and humid at times, especially when the breeze drops out, which it has done from time to time. The latest radar images do show those showers to the south of the area coming a little closer to the area. We were expecting this shower activity to fizzle out before it moved north up towards Pen Llyn as the front associated with it is a decaying one, however, there is a chance now of a few spits or spots in the air at some stage in the next few hours. It has not been quite as nice a start to the day in comparison to the sensational weather of yesterday, but it is still pleasant enough with hazy sunshine coming and going. 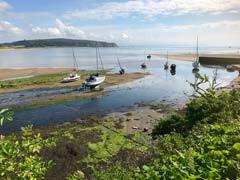 Showers continue to affect South Wales and there are one or two near Anglesey, however we are still expecting a dry day here in Abersoch. 7 years ago, Rosie's son Joshua Decker was born asleep the day before he was due and this year Rosie decided to do something in memory of him and also to raise money for those affected by still births, by taking on an awesome challenge. 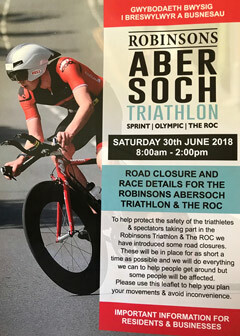 Along with her friend Bex (who you might know as Abersoch's physio) they are going to attempt to paddle board from Abersoch for 2-3 miles, then road bike 55 miles to the foot of Cadair Idris, hike to the mountain's summit and back, then road bike the 58 miles home!!! In Rosie's words "If we can do that, raise a little money, raise a little awareness, then for me something wonderful will have come from his memory. Thanks to the work of Sands there is support for bereaved parents, midwifes and research into preventative care. In Josh's memory I want to contribute to the work that they do. To help research reduce deaths but when nature decides otherwise I want every parent to have the help and support they need; to have their child's hand and footprints; to know they are not alone. All monies raised will be split 50/50 between Sands Nationally and Sands Gwynedd, who are local to me. They support the midwifery unit at Ysbyty Gwynedd, Bangor Hospital where Josh was born as well as the Welsh Air Ambulance." News from Bryn Cethin Bach Caravan & Chalet Park... "We are having an open weekend starting this Saturday morning at 10am! Our cottage and farmhouse have recently been refurbished and we can't wait for people to see them! Whether you are a resident with lots of visitors that need more space, or a non resident looking for new holiday let options, this weekend is a great opportunity to see what we have to offer and come and walk round our beautiful park and lakes." 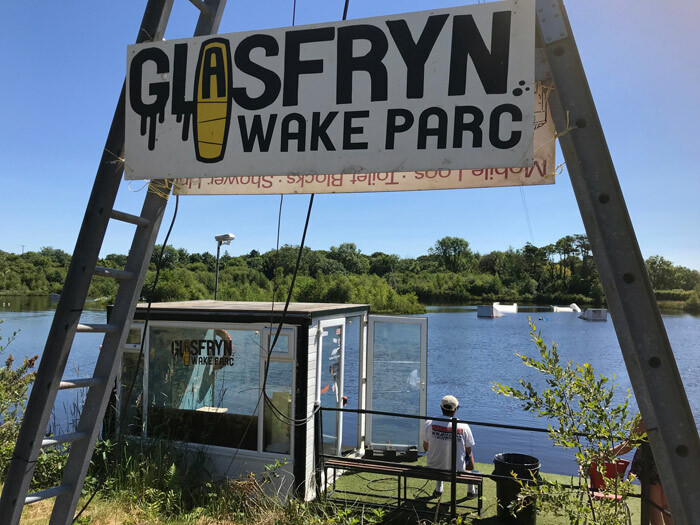 News from Glasfryn Wakeboard Park - "Not long to go now...register to enter the Glasfryn Welsh Open Wakeboard Competition in July 7th & 8th. A £3k of prize pot up for grabs! 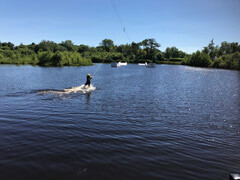 Register your details on the cablewakeboard site 1st, and it will take you through to the registration page." Further confirmation overnight that the owners of the site have no update on the status of the project. 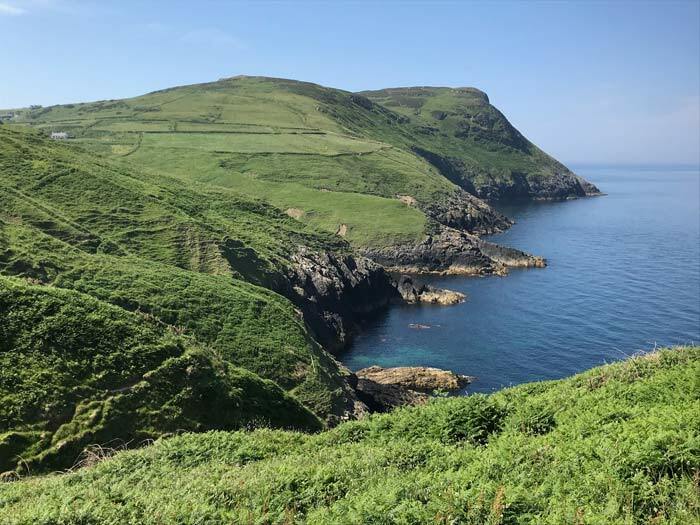 The sun has shone strongly all day here on Pen Llyn, with very warm temperatures enhanced by the lack of breeze, which dropped out this morning and then did not return until the second half of the afternoon, when a northerly sea breeze arrived. We were a bit further afield at times today, on a trip from Aberdaron up the Coastal Path to the Ty Coch, training for the Pen Llyn Ultra. 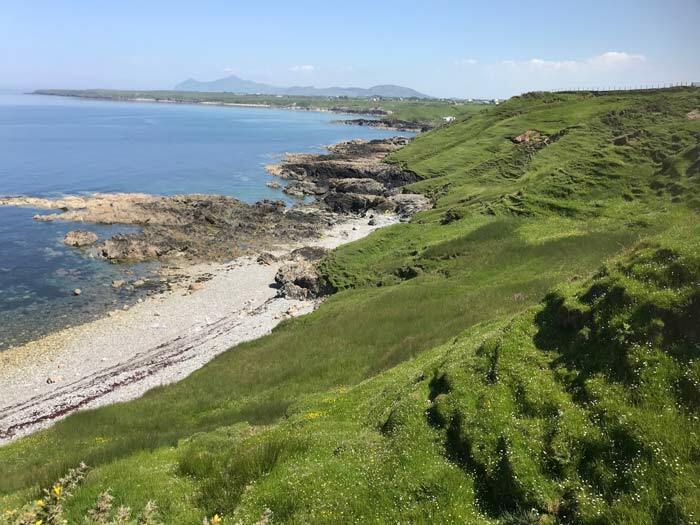 It was all a bit hot for enjoyable running, however, the scenery on the route was something special and below are a few views from the day. The trip ended up at the Ty Coch in Porth Dinllaen, which appeared busy, as did that part of the beach, however the footpath from the Lifeboat Station to the Ty Coch has been temporarily closed due to a landslide, so if coming from that side, you just need to go back onto the headland and drop down to the pub from there. Bardsey on way to Uwch Mynydd. 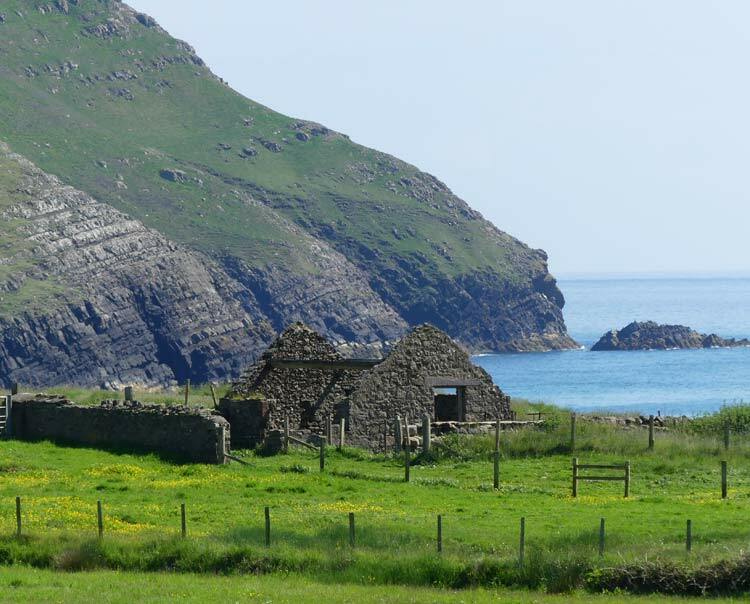 View back towards Porth Oer. Can't remember what this beauty is called. Porth Dinllaen & the Ty Coch. We have seen plenty of mornings like this over recent weeks - as it is another morning with blue skies and warm sunshine. There is an northeasterly breeze, as discussed over on the weather page, but it is still pleanantly warm. Hopefully we will have some photos from a trip over to the quieter side of Pen Llyn today... more on this later. In the meantime, the sun is strong and it is looking like another great day for those heading to the beach. The sun shone brightly this afternoon and it was like the Canary Islands again at Hell's Mouth with a warm feeling, cross to cross-offshore breeze and a bit of surf too on the dropping tide. The mostly, really rather amazing spell of weather continues! Jayne is looking for staff to join the friendly front of house team at Venetia. Evening waiting on & morning housekeeping available. Seasonal & all year round. Next Update: Thursday 7th June. Cilan end of Neigwl at 1pm. Sparkling waves at Porth Neigwl this pm. It has been a pleasant morning here on Pen Llyn, with hazy sunshine at times, so not strong sunshine, as there is still a bit of cloud, however, there should be some warm sunshine at times this afternoon. 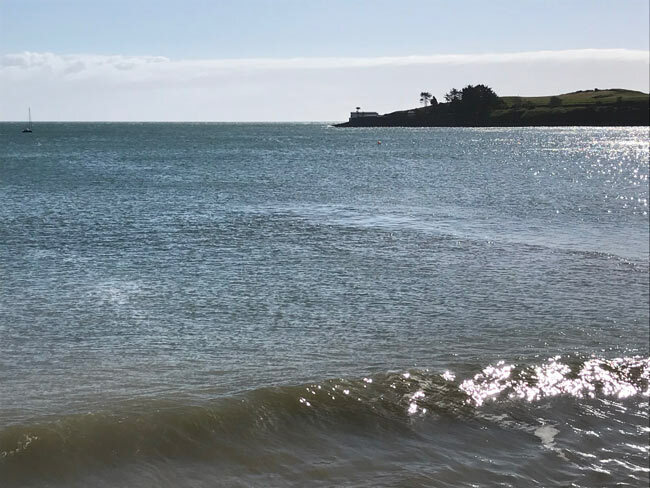 The day started wind-less and glassy in the bay and the dolphins were seen again quite close to the beach, with a couple of paddleboarders getting a truly memorable encounter with them! The Cove restaurant at SCYC is a spectacular location to dine out and is under new management this season. 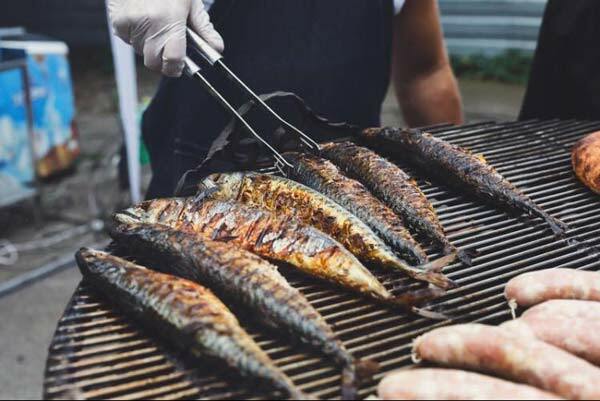 A BBQ launch is being held on the 16th June, where you can see what the new chefs have prepared for this year. There will be live music from the talented Tom and Annabelle. Details to follow. Cove Launch on the 16th. The sunshine finally arrived this afternoon, of the hazy variety, as there is still some high cloud, however, it has turned really rather pleasant and warm again. There is more cloud than expected this morning and it is proving a little reluctant to clear away, however, we are still optimistic that something sunnier wil larrive this afternoon. The breeze has been up and down too, not as noticeable as first thing this morning, but is still bringing a cooler and fresher feel. It all feels a little disappointing after the last couple of days! Plenty of cloud this morning. 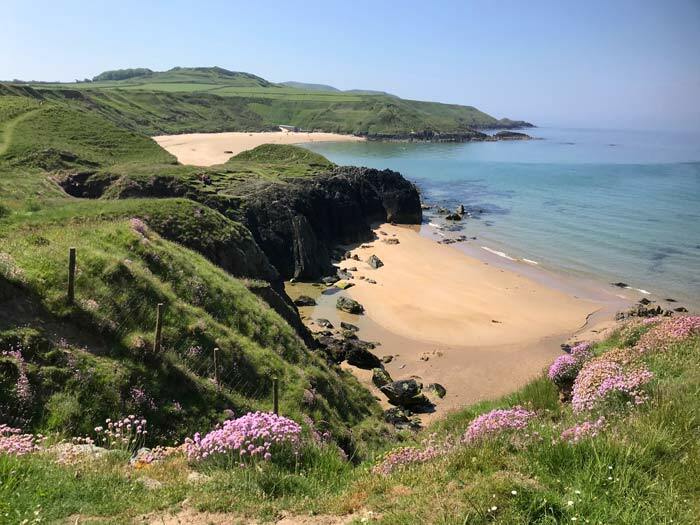 The warm and mostly sunny weather continued this afternoon and at Porth Neigwl, with a northerly breeze coming and going, it felt more like being on the beach in the Canary Islands, as the breeze felt warm! 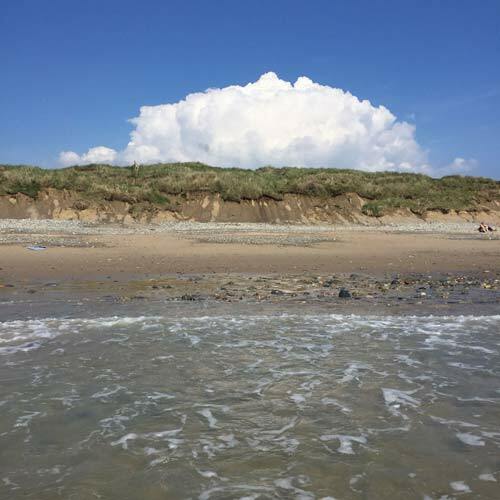 There have been some convective clouds bubbling up from time to time and it looked as though the heavens might open at one stage, however all we felt was a couple of blobs of rain at Porth Neigwl and the cloud was soon replaced by warm sunshine. The fantastic spell of weather continues. 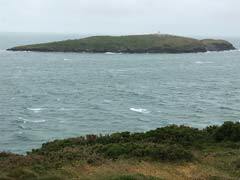 Abersoch Lifeboat Out On Service Today - 2nd Shout In 3 Days..
4 June: The crew were paged today at 12:44 to a pleasure fishing vessel which had broken down SW of Cilan Head. On arrival, the boat was very well equip with and its passengers well prepared, however they had suffered a technical fault. 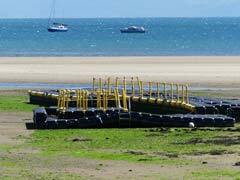 The boat was towed to Abersoch. The lifeboat was refuelled and ready for service by 3pm. 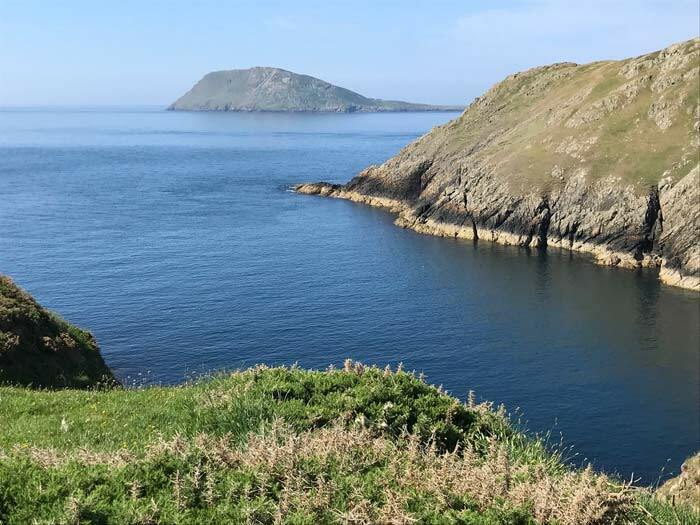 2 June: A disturbed night sleep for the crew who were paged shortly before 11.30pm to a report of a broken down 5 tonne fishing vessel off Bardsey Island. On arrival, the boat was nowhere to be seen and a search was commenced, joined by Pwllheli Lifeboat. The fishing vessel was located by Pwllheli lifeboat 18 miles off Bardsey Island and was towed back to Pwllheli. Abersoch Lifeboat returned to station at 1.30am. Next Update: Tuesday June 5th. We are based near Porth Neigwl this week, where the morning is absolutely stunning, with very warm sunshine, no breeze and a glassy sea, as was the case in Abersoch bay earlier this morning too. 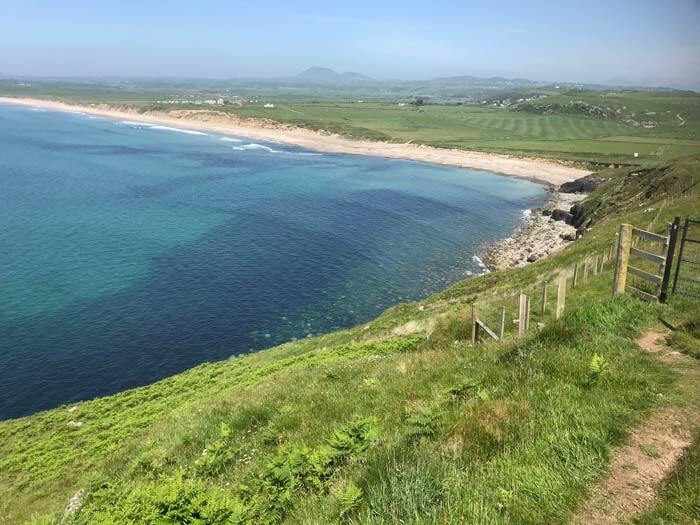 This spell of weather is turning into quite a memorable one and is set to continue through the week, with the background risk of showers increasing from time to time, but plenty of warm and sunny weather is likely. Driving into the village yesterday evening, it was noticeable quieter, which is not surprising as the half term holiday has now ended. 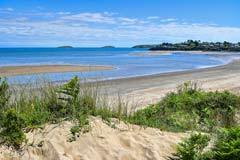 Those lucky enough to have started their holiday this weekend, will be able to enjoy the combination of amazing weather and quiet beaches. There was a hint of swell at Porth Neigwl this morning and for daily surf reports and forecasts, visit West Coast Surf Shop. 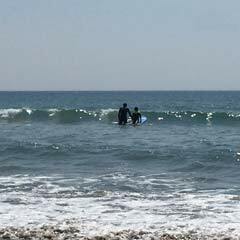 From there you can also buy or hire surf equipment or have a surf lesson. Other Abersoch outlets offering similar retail, hire and lessons services are Off Axis (retail, hire and lessons) and Abersoch Watersports (retail and hire). 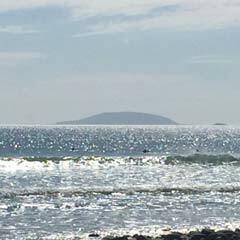 Tiny, glassy waves this am. 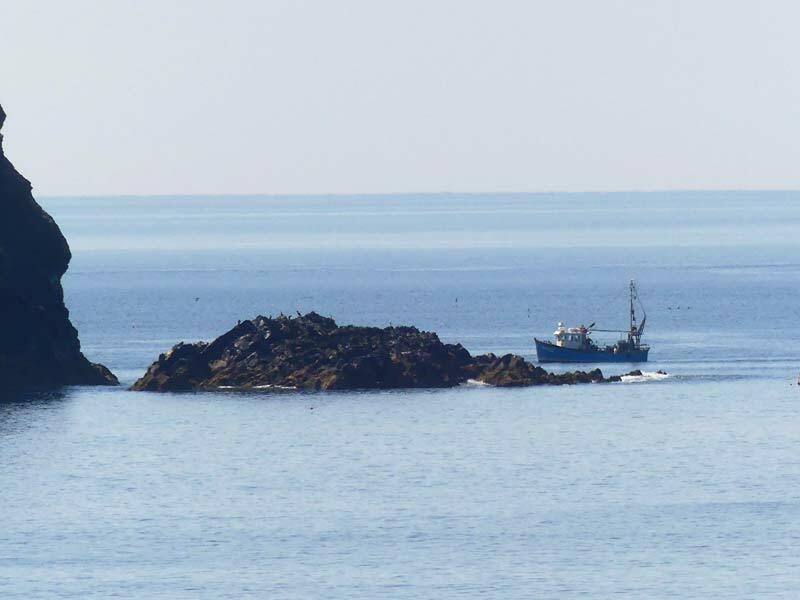 Fishermen at work off Cilan. 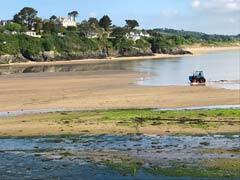 Sunshine all day here in Abersoch. 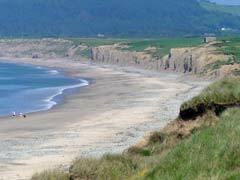 We were in the Porth Neigwl area for much of the day, enjoying the warm temperatures, quiet afternoon beach and the small, clean waves. 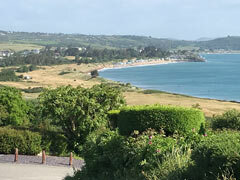 The wind stayed negligible until the second half of the afternoon, when a bit of a northerly sea breeze has kicked in, bringing a slightly fresher feel, though this is set to disappear overnight and tomorrow may see the breeze be more of a northeasterly, meaning that there might be very much of it all in the Abersoch area during the day. The sea at Porth Neigwl has warmed noticeably in the last week or so. 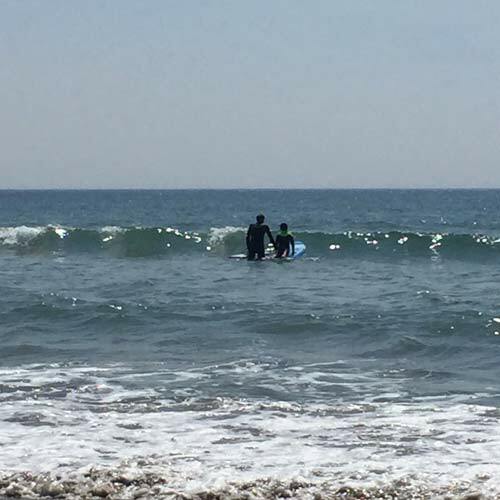 You can get daily surf reports online from West Coast Surf Shop. 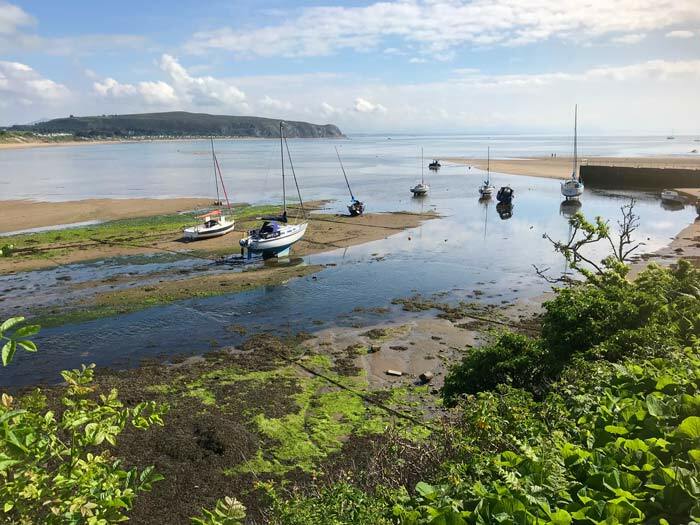 The day has started quiet and fine here in Abersoch and it is already feeling really warm in the sunshine, with some patchy cloud coming and going. Looks like being a cracking day. Abersoch and Pwllheli Lifeboats were launched on service overnight to locate and assist a fishing vessel with engine difficulties. 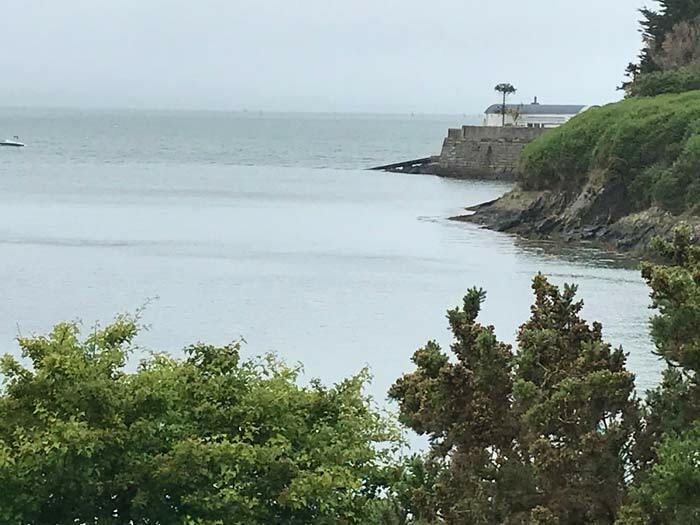 The vessel was eventually identified as being a long way out and initial reports suggest that the offshore Pwllheli Lifeboat towed the vessel safely into Pwllheli, which took several hours due to the distances involved. The outer harbour at 9.25am. Shortly after our last update the annoying cloud has cleared away and we now have warm sunshine and mostly clear skies. The view below is from near to Porth Neigwl, looking towards Cilan Head. View towards Cilan this afternoon. 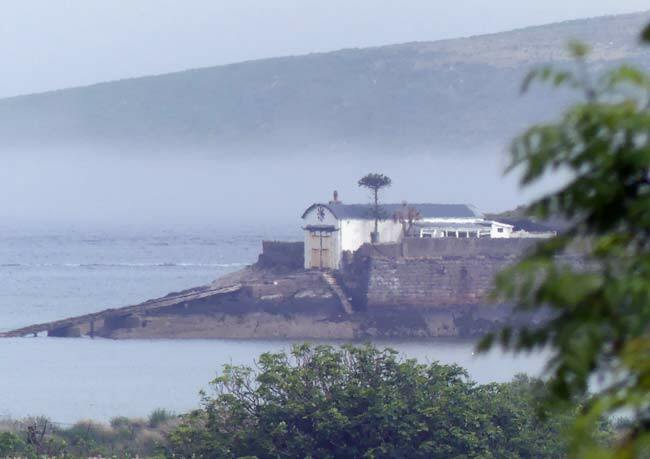 As previously mentioned on the weather page this morning, later yesterday afternoon and evening saw the sea fog encroach on the village, bringing a cooler and fresher feel and this morning started in a similar vein. Through the morning, the cloud has thinned and broken a little at times, to bring some warm and humid spells and there was some very warm section for the 10K runners this morning (see below). This afternoon, the cloud is being a bit more stubborn than hoped for and so the brighter and warmer spells are coming and going, however, the trend is still expected to be heading towards a very fine end to the day. Fingers crossed. How wonderful to receive this feedback today from an advertiser selling a chalet on the property for sale page... "Thanks to your super website, advert & fantastic service, I’ve now sold the chalet. I honestly think it would have been extremely difficult or impossible without you!". 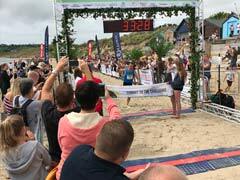 Just under 1000 runners took part in the Abersoch 10K this morning, with another 320 racing in the 3K in what was the 10th anniversary of this event. The race started in the centre of the village and ended on the main beach with a couple of hills in between with plenty of people en route to cheer on the runners. 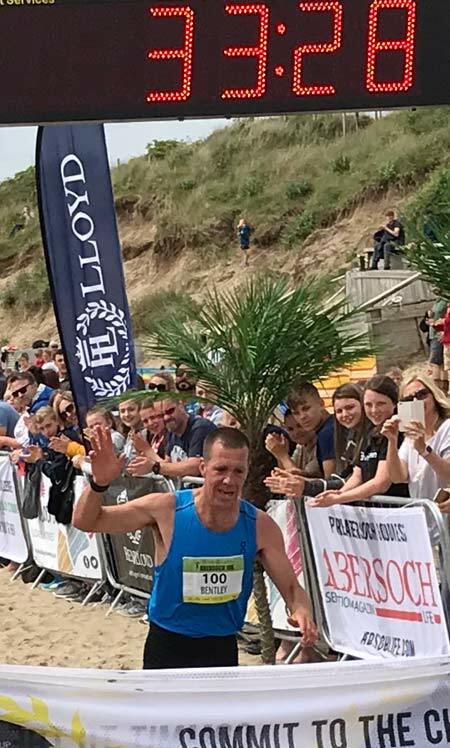 Whilst many were taking part for charity or for fun - running their own personal battles, there was also a serious side to the event, with some elite class runners taking part, including one of North Wales top racers Russell Bentley (a 2:20 marathoner! ), who won the event in a time of 33:28. 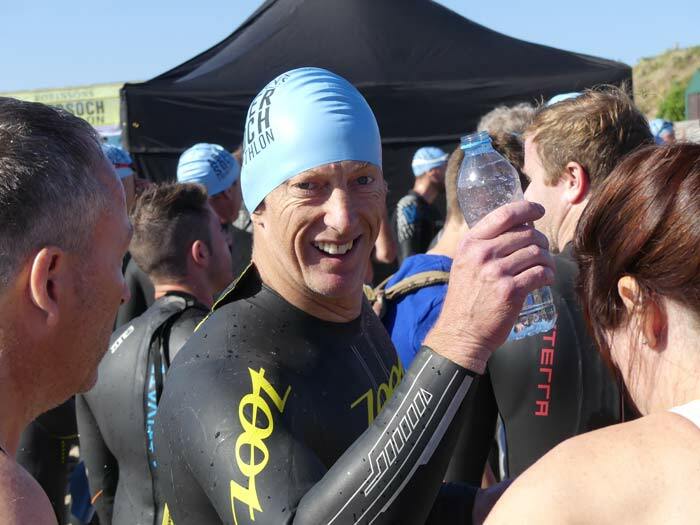 Talking to some competitors after the race, the humidity and warmth in some sections of the course made it hard work - so well done to all who took part in these races, which are sponsored by Abersoch Holiday Homes and Henri Lloyd. The event was extremely well organised and marshalled, so congratulations to all those involved. 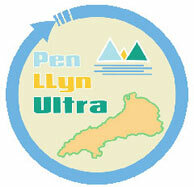 The next local race is the Pen Llyn Ultra marathons, starting on the 23rd June. Just noticed some sea fog out in the bay, coming and going which sometimes occurs when we have warm and humid air passing over the relatively cold sea. The cold water cools the warm humid air above it with the condensation process turning the moisture in the air into low cloud - that sits on the water. The good news is that the rain radar is still showing the showers missing the area, with most, including some storm cells, curently affecting Snowdonia, heading up in a corridor towards Caernarfon and Rhyl. We still can't rule out another, however, fingers crossed we are certainly avoiding the worst of them for now. We have been contacted recently by several people who are unhappy about the increase in their council tax on their second homes. An example of an increase is from £2500 in 2017 to just under £3950 this year. We have covered this subject before in the news section back in 2016, however, we are interested in the views of those who are now affected. 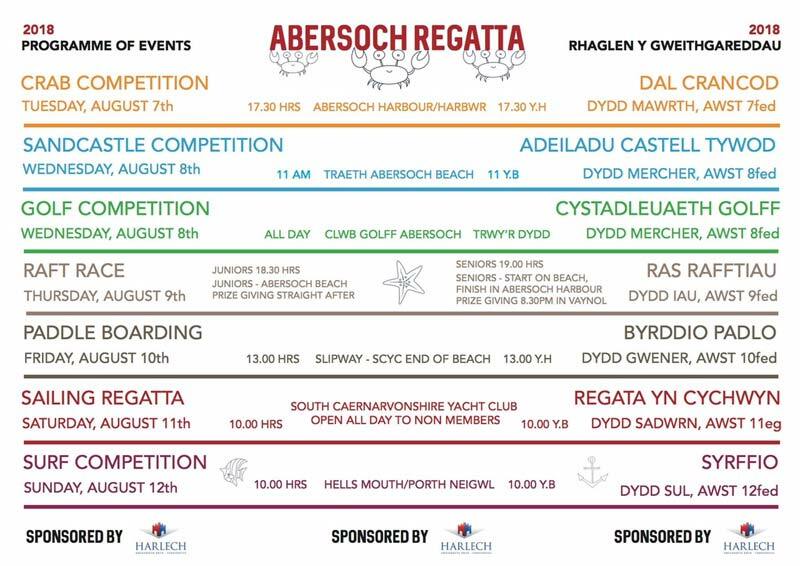 If you wish to contibute your opinion, please contact us at info@abersoch.co.uk for more info on how to do this. Sea fog out in the bay. We saw some torrential downpours this morning, which cleared away before midday and since then, although showers have continued to slide across areas just to the northeast of here, it has stayed dry. The latest radar images does show further showers moving up from the south-southeast across north Wales, though at the moment, the worst of them look like missing us here on Pen Llyn. It has now also brightened up and is feeling very warm again in the hazy sunshine, with the same rather humid feel that we say yesterday afternoon, which felt almost tropical by the end of the day! The mostly warm or very warm weather is set to continue!